Complete the form on this page to purchase tickets for the 26th Annual Jacob’s Ladder Golf Tournament, to be held on Monday May 13 2019 at The Club at Viniterra in New Kent County. This is a new venue for use this year, and we are very excited to be playing on this Ree Jones designed course. Fulfillment is secure and is handled through PayPal. Please contact Jacob’s Ladder with your complete Team information once you are registered. Play format is a four-person team, preferred drive (play your own ball thereafter), with the two best scores counting as final score. Cost is $150.00 per player and is payable by check to Jacob’s Ladder at the event or online at the completion of registration. Day ends with a closing celebration back at the Clubhouse with awards, food and beverages. Do you want to be a sponsor for this year’s Golf Classic? If so, please download, complete, and mail the PDF file below. Deadline for registering as a sponsor is 15 April, 2019. 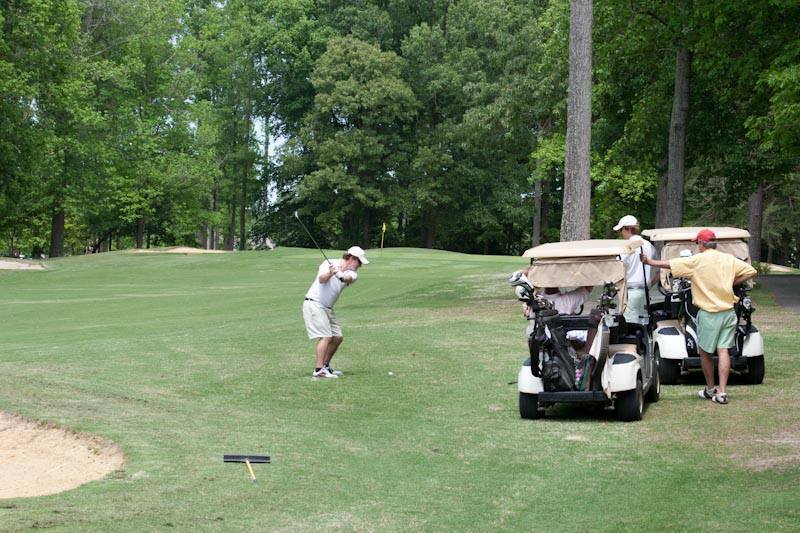 100% of the net proceeds from the Golf Classic goes towards campers’ room & board. Jacob’s Ladder is a 501(c)(3) organization. Choose this option to purchase a single ticket for yourself or your team members. there is a limit of four (4) tickets that can be purchased at one time, which would indicate a complete team purchase. You may also purchase individual tickets. Single players will be placed on a team of three other players on the day of the event. Pairs will be teamed with two other players.